February 8, 2017 – Dublin, CA, USA – Run Through Media LLC, a full service digital marketing agency focused on providing results-driven solutions to help brands grow online is pleased to announce launch of its new innovative digital marketing solutions for 2017 that will take businesses on new heights. 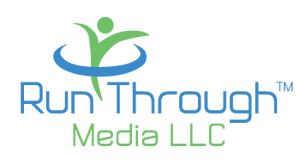 With a myriad of new digital solutions that build exposure, client base, and success for business, RunThroughMedia has the answer to all the growth and development needs of today’s business. What makes Run Through Media unique is that it specializes in using the right mix of technologically advanced expertise, original ideas, tactics and innovation to provide solutions that can deliver positive results for businesses of all sizes. Run Through Media knows how to build clients’ business and their trust with proven results. They know how to customize strategies for each client that can convert the increased traffic, into leads and sales. Be the first to comment on "RUN THROUGH MEDIA INTRODUCES INNOVATIVE DIGITAL MARKETING SOLUTIONS FOR 2017"